Since the 1960s, Toronto has thrown itself into a spate of serious image-building, with millions of dollars lavished on glitzy architecture, slick museums and the redevelopment of the waterfront. Torontonians are justifiably proud of their vibrant metropolis as Canada’s largest city has a tremendous amount to offer, including a thriving theatre, music, and arts scene, top museums, world-class restaurants, luxurious hotels and pretty little parks. If you ask a local on the street “what do you love most about your city?” they’re most likely to highlight Toronto’s cultural diversity (over 100 ethnic groups are represented here) rather than a particular museum, festival or neighbourhood. Toronto’s heartfelt embrace for its unique multicultural make up and diversity is one of the many reasons it continues to be listed as the most liveable city in the world year after year. I first moved to Toronto in 2010 and have dedicated the last six years to slowly romancing myself through the city’s colourful collection of neighbourhoods. After spending the last decade traipsing around the globe as a travel writer I thought it was high time I put together an epic list of must do essentials for my home sweet home, Canada’s little city on the lake. At the Windsor Arms, historic and new-millennium amenities are fused together to create a delicate balance of old-world charm and modern decadence. Located in Toronto’s fancy Yorkville neighbourhood, the building dates back to 1927 when the University of Toronto, with its neo-Gothic buildings and distinctive piers, porches, and crests were architectural marvels of the burgeoning metropolis. Back in the 30s the original idea was to create a hotel residence to blend in with the university’s signature, Victorian buildings. Nowadays, the Windsor Arms Hotel plays home to visiting A-listers, big-ticket musicians and prestigious jet-setters. Did you know Elizabeth Taylor got engaged to Richard Burton here? Other notable past guests include Sandra Bullock, Johnny Depp, Edward Norton, Demi Moore, Clint Eastwood, Jessica Lange and Sean Penn. The hotel features 28 perfectly appointed suits all of which were designed by the hotels owner George Friedmann. 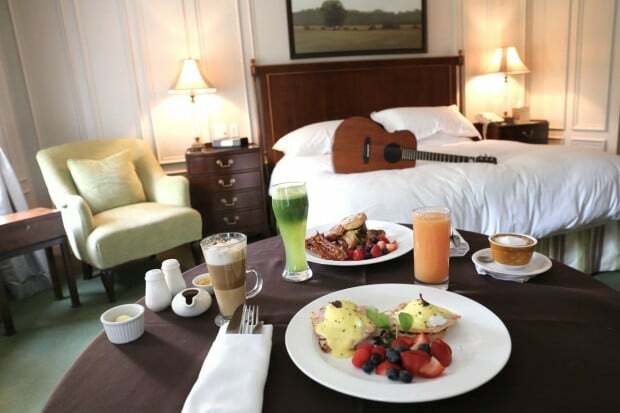 The hotels 700 sq ft Deluxe Suite features unique butler’s pantry, oversized bathroom with limestone floors, comfy living room, state of the art sound system, Nespresso, Molton Brown amenities and a collection of musical instruments for guests to enjoy which include baby grand piano, harp and guitar. The simply titled, “Spa” at the Four Seasons is a sun-filled urban retreat which rightfully-so-boasts the “largest luxury hotel day spa in Toronto,” with over 30,000 square feet of rest and relaxation. The Spa offers 17 spacious treatment rooms, two steam rooms, and a salon with ceiling to floor windows which allow guests perched in their seats for haircut or mani/pedi to gaze out at the posh and panache of Yorkville. The real gems here are a sunlit indoor relaxation pool, co-ed whirlpool and outdoor terrace where in the warmer months guests can sip and sigh. Every September T.O. takes the world by storm as film fans, A-list celebrities and top media & industry descend upon the city for the worlds favourite party, The Toronto International Film Festival. 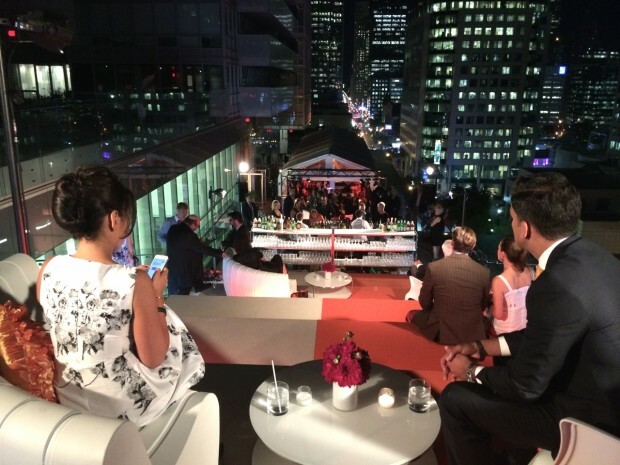 Toronto really does take on an entirely new vibe as red carpets line the street, paparazzi perch in front of the city’s most luxurious hotels, posh venues host exclusive parties and cafes buzz with talk of which films are best bets for the Oscar race. If you’re unable to visit the city during the festival, don’t fret, local film buffs rave for year round offerings which feature top notch film fest flick screenings and dazzling museum exhibits at the TIFF Bell Lightbox. A 58-second elevator ride whisks you to the 114th story of the world’s second tallest free-standing structure, the 181-story, 553 metre communications tower built by Canadian National Railway in 1976. 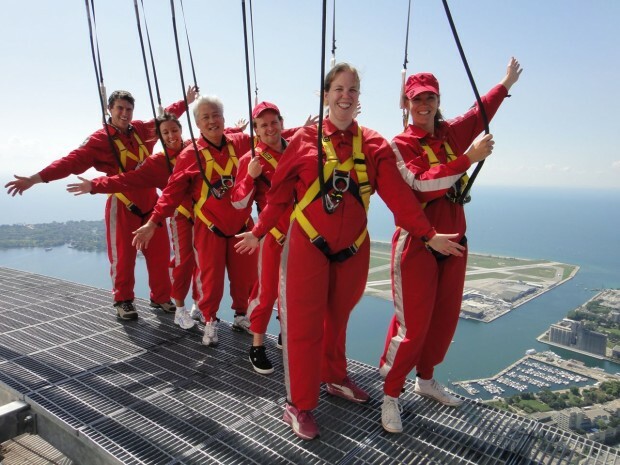 Breathtaking views from the CN Tower’s glass-fronted elevator set the stage for more dizzying sights from the Look Out, where on a clear day you can see as far as the Canada-US border. Visitors with nerves of steel can walk on the Glass Floor for a view 342 metres straight down or if you’re a real daredevil hop in a red jumpsuit and dangle over the city on the nail-biting Edgewalk. Originally a peninsula, the islands were formed when the rushing waters of the Don River separated a split from the mainland during a ferocious storm in 1858. There are more than a dozen islets and mid-sized islands in this urban archipelago, some of them connected by bridges, others accessible only by boat. 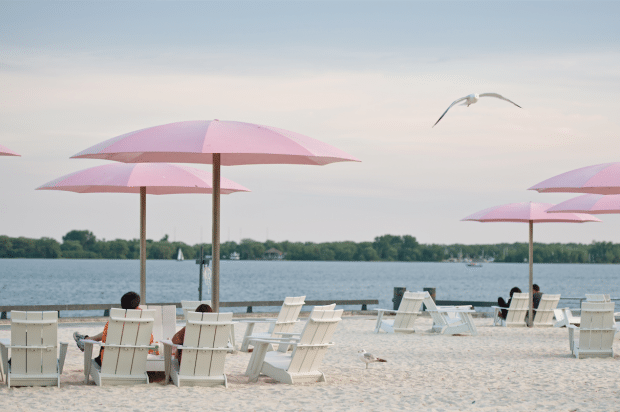 A thriving residential community of creative characters calls Ward’s and Algonquin Islands home, while Centre Island is a popular destination for its amusement park and summer music festivals. In the hot heat of summer gays and nudists mingle at Hanlan’s Point Beach to work on their tans while lounging on soft sand. Be sure to stroll around Queens Quay (located on the mainland by the ferry dock) to check out the city’s newly revitalized waterfront which features fabulous restaurants, world class arts offering at Harbourfront Centre and a nice stretch of pretty parks. 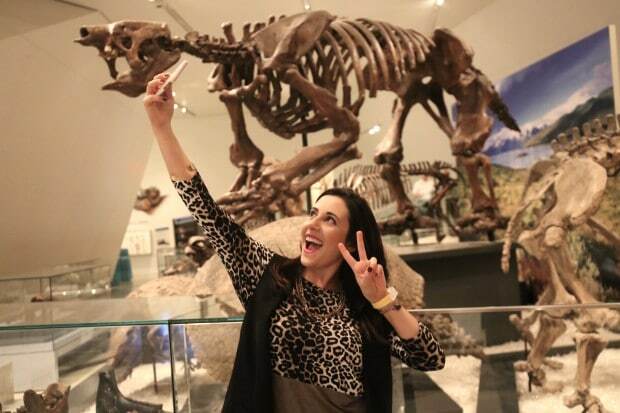 The Royal Ontario Museum is Canada’s largest museum featuring a collection of more than six million objects. It was created in 1914 with the ambitious dual mandate of showcasing human civilization and the natural world. Galleries of archeology, science, art, world cultures, and nature history display significant collections of Chinese treasures, ornate mummy cases, and impressive dinosaur skeletons. The ROM also hosts fabulous events throughout the year worth planning your trip around. Favourites include Friday Night Live and Adult Sleepovers. Founded in 1900 and now one of the most prominent art museums in North America, the wide-ranging Art Gallery of Ontario has over 80,000 works. The outstanding pieces of Canadian art, in particular paintings by the Group of Seven, are a national treasure. Along with superb Henry Moore plasters, bronzes and other works, the gallery exhibits significant masterpieces of European art, from paintings by Tintoretto and Frans Hals to Vince van Gogh and Pablo Picasso. 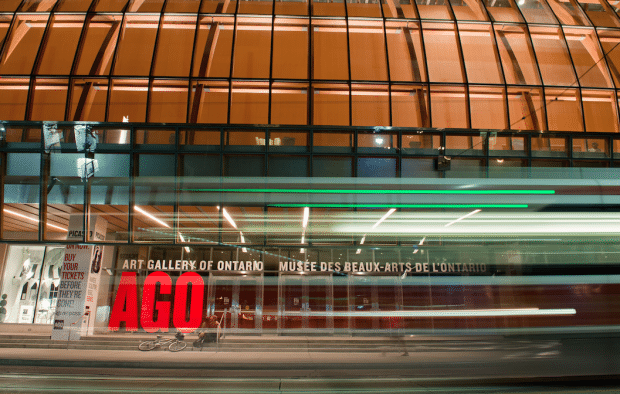 A major renovation, designed by architect Frank Gehry was completed in 2008 and has solidified the AGO as one of the city’s most iconic architectural gems. Be sure to grab tickets to the Art Gallery of Ontario’s popular monthly First Thursdays party where you can sip champagne and slurp oysters while tip toeing through marvelous modern art. 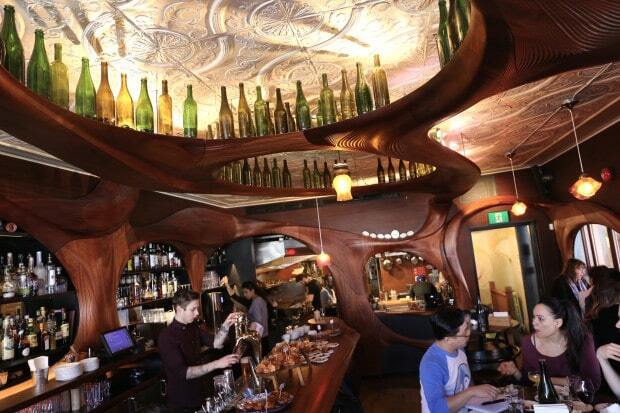 When Bar Raval first opened its doors in Little Italy people were buzzing not just for the fantastic food but for the departure from the experience norm we’re used to. She’s open 7 days a week from 8am to 2am? No reservations? Standing room only? People line up and squeal yes please! Raval has elevated Toronto’s dinning scene and pushed its practitioners to raise the bar, get creative and offer up a new concept to food fans. Since opening its doors, Chef Grant van Gameren’s Bar Raval has appeared on the top of many lists and is regarded as one of Canada’s best restaurants. Now a Toronto institution, Raval is adored for its jaw-dropping Gaudi-esque interior (which has been lauded by design nerds as one of the world’s finest restaurant interiors), moody music, top notch craft cocktails and Spanish pinxto inspired menu. My favourite time of day to pop by is in the morning where decadent pastries, frothy latte’s and fried egg stuffed croissants help one wake up to the world. 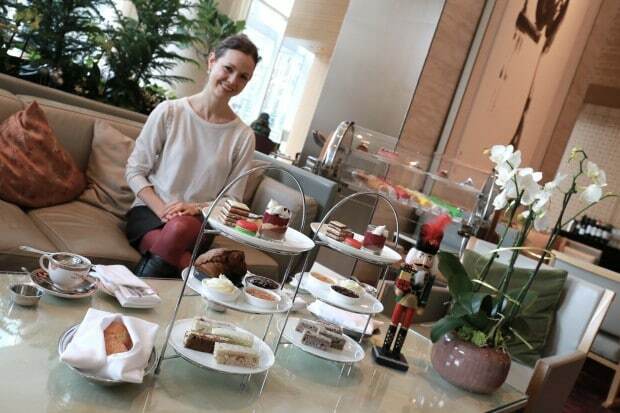 Afternoon Tea at the Shangri-La Toronto is offered in the hotel’s spacious and relaxing open-concept lobby. Featuring a staggering selection of 68 premium teas sourced from around the globe, tea time at the Shang is a perfect place to dabble in the crème de la crème of loose leaf. Guests are greeted with classic three-tiered set featuring a selection of sweet scones slathered in preserves and cream, pretty pastries and dainty sandwiches. If you’re flying high be sure to stroll over to the Champagne Wall where you can easily spend hours sipping through glass after glass of the world’s best bubbly. The collection includes over 40 different champagne labels from France’s most prominent houses including Perrier Jouet, Billecart Salmon and rare bottles such as the 1998 Henriot Cuvée des Enchanteleurs. 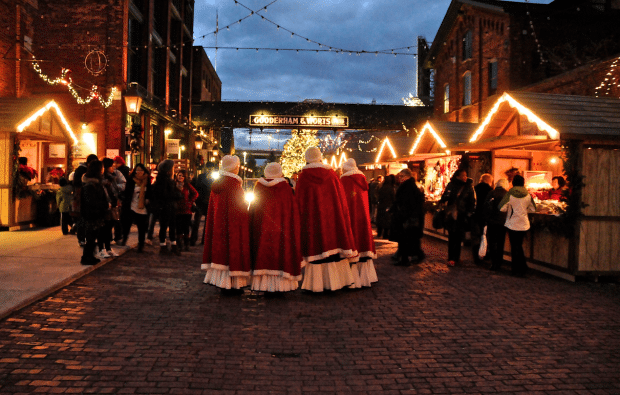 Walking the pedestrian-only cobblestone streets past the best preserved Victorian industrial architecture in North America, you’ll feel as if you’ve stumbled into another century. The 44 buildings of this 13-acre site were, until the mid-1900s, part of Gooderham and Worts, once the world’s largest distillery. 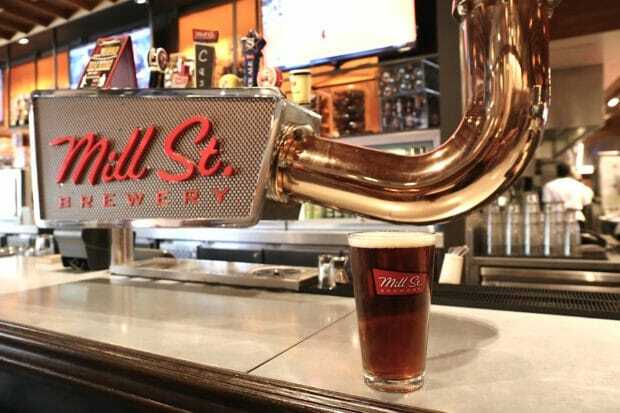 It evolved from a grist mill founded here in 1832 by Englishman James Wort and his brother-in-law William Gooderham. Today the 150-year-old Distillery District has been infused with new life and is a vibrant community featuring slick condos, cute cafes, top notch restaurants, inspiring galleries and art studios, world class performance spaces and shop-till-you-drop speciality shops. If you’re in town in December be sure to pop by as the neighbourhood bursts with life when it transforms into a festive German Christmas Market. Opened in 1803 as Toronto’s second City Hall, Toronto’s iconic St Lawrence Market building once had a police station on the first floor and jail in the basement. Today it houses a thriving public market – and sells some of the city’s highest quality meats, cheeses, produce and pastries. 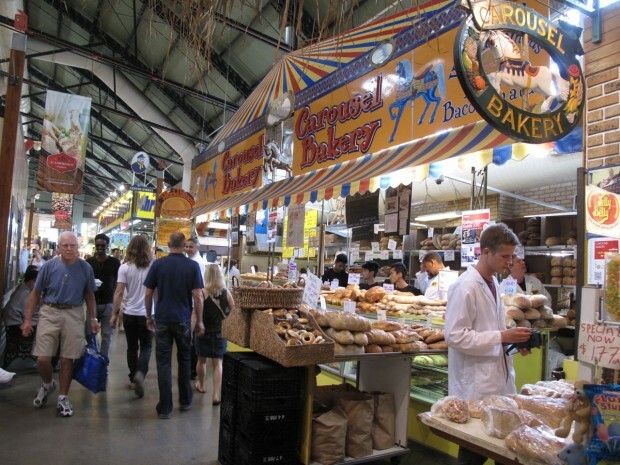 Local foodies were thrilled for good reason when National Geographic recently ranked the St. Lawrence Market as the Best Food Market in the World! If you only have time to eat one item here be sure to visit Carousel Bakery. It’s the most famous place in the city to chow down on the quintessentially Canadian Peameal Bacon Sandwich served on a fresh kaiser bun stuffed with salty peameal-encrusted pork, fried egg and slathering of Kozlik’s mustard. With one of the largest ethnic Chinese populations of any North American city, it’s not surprising that Toronto has a vibrant China Town teaming with authentic restaurants, Traditional Chinese Medicine clinics, Oriental art shops and bustling food markets which straddle the sidewalks along Spadina. 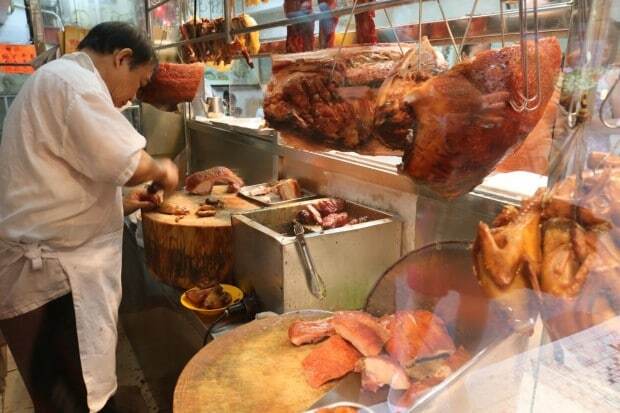 I head to China Town whenever I have a munchie craving with favourites including Kings Noodle (if you’re looking for classic Hong Kong-style BBQ) or Rol San (offering dim sum on the daily from 9:30am-2am). 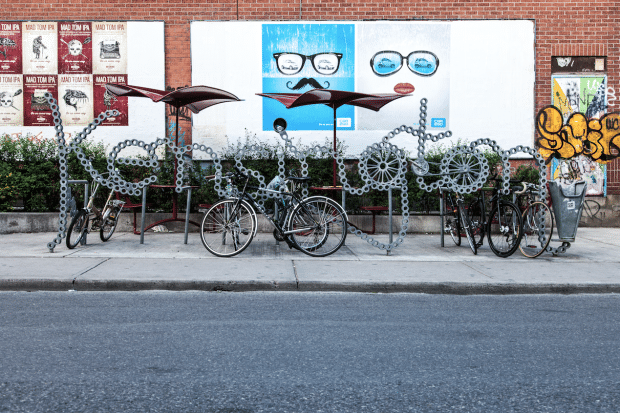 Kensington Market is a funky neighbourhood located in a small pocket just west of China Town. It’s the heart of multicultural meets hippy Toronto – a place where vendors from almost every corner of the globe have set up shop. Spilling out into the narrow sidewalks are stores selling an array of fruits, vegetables, and bulk dry goods, while music blasts from open doors and loudspeakers. Leave the car behind and wander through the streets, soaking up the atmosphere, perhaps shopping for a Trinity Bellwoods Park picnic or browsing through trinkets and secondhand clothes in the hoods many eclectic stores. The creation of a cool new area often follows the same pattern: property prices rise, immigrant-industrial enclave in a big city suddenly looks like a good option, arty types adopt the area, gentrification kicks in and voilà, a hip neighborhood is born. With the rent in surrounding areas going up in the 1990s, that’s exactly what happened to West Queen West, a two-kilometre strip that runs along Queen West between Bathurst St and Gladstone Ave. Since the creative types moved in, it has reinvented itself as the city’s art and design district. Over 300 galleries, design houses, shops, restaurants and boutique hotels now make up Toronto’s creative heart. It’s no wonder then that back in 2014 Vogue named Toronto’s Queen West as one of the 15 Coolest Neighbourhoods in the World! 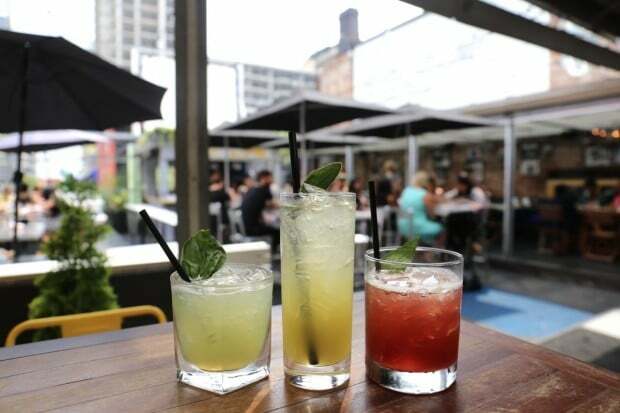 After you’ve enjoyed window shopping along the street head up to the hoods most storied hipster haunt, The Drake Hotel for craft cocktail sips at al fresco Sky Yard. If the sun is shinning and you’re looking for a perfect patch of grass to rest and relax join the throngs of locals who call Trinity Bellwoods their own backyard. Throughout the summer the city’s enviable west end green space plays home to drum circles, dog walkers, frisbee fans and bookworms. If you run out of picnic necessities and find your stomach growling fret not as some of the city’s best restaurants are a short stroll away. 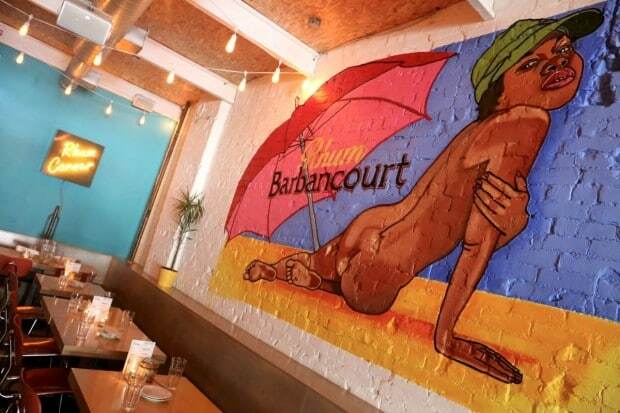 Restaurant hop along Dundas Street West for Jamaican Chinese fusion at Patois, Hatian delights at Rhum Corner, nibble on charcuterie at The Black Hoof and spin your fork through a perfect bowl of spaghetti carbonara at Enoteca Sociale. The intersection of Church and Wellesley, the epicentre of Toronto’s Gay Village, has been home to Canada’s largest LGBT community for decades. A profusion of bars, speciality shops and restaurants make the strip a great place to hang out and soak up the scene as leathermen, muscle boys, and drag queens strut their stuff. If you’re looking for the local watering hole head to Woody’s which was made famous by the popular TV show Queer as Folk. If keen to sip craft cocktails pop across the street to Boutique Bar which offers the best perch for people watching. Next door Crews and Tangos is the place to hoot and holler at Drag Queens. If you’re feeling peckish stroll to the corner of Church and Maitland you’ll find three sprawling patio’s serving up pub grub (O’Grady’s is the favourite). If you’re a theatre fan grab tickets to a play at the world’s longest running queer theatre Buddies in Bad Times. 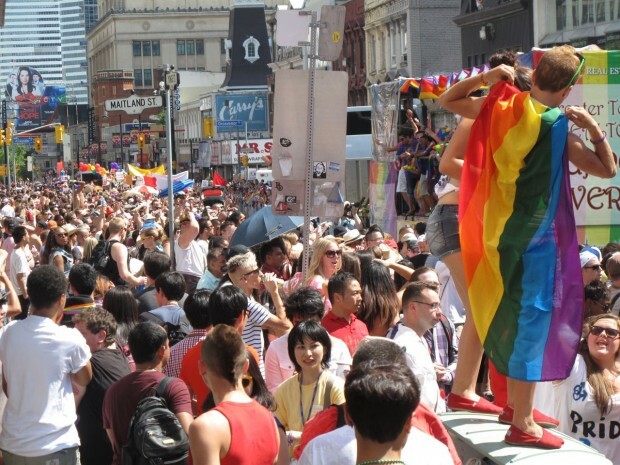 The best time of year to visit is over the Canada Long Weekend when the neighbourhood hosts one of the world’s most celebrated Pride parades. This medieval-style castle, completed in 1914 for a staggering $3.4 million, looms on a hill, overlooking downtown. Designed by famed Toronto architect E.J. 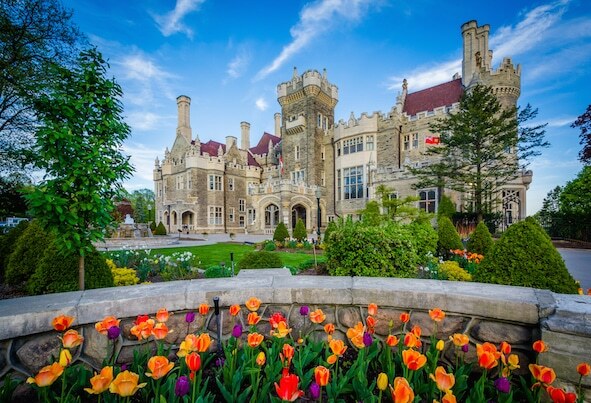 Lennox, Casa Loma – Spanish for “house on the hill” – was the estate of prominent financier and industrialist Sir Henry Pellatt, who was forced by financial ruin to abandon his 98-room dream home less than 10 years after it was built. Today, Casa Loma is one of Toronto’s top tourist attractions and hospitality venues. Each year over 350,000 visitors tour the castle and surrounding estate gardens. You can easily spend two hours here, slowly strolling through each of the castle’s ornate rooms while listening to an informative audio guide. Highlights include the 60′ high ceiling of the Great Hall, herringbone oak floor pattern in the Library, circassian walnut Dinning Room and posh Billiard Room. 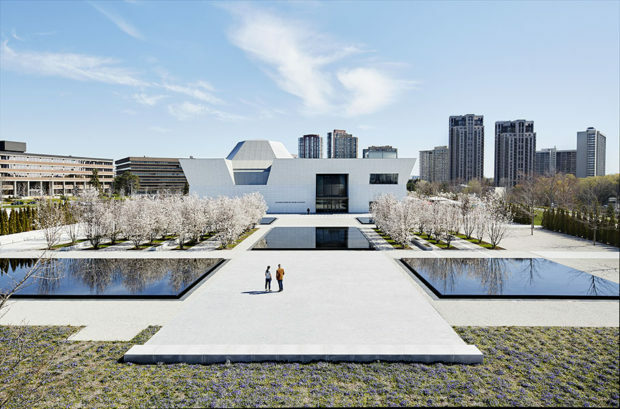 Toronto’s newest attraction, The Aga Khan Museum is well worth the short drive outside of the city. The museum officially opened its doors on September 12, 2014 after a ribbon cutting by His Highness the Aga Khan and Stephen Harper (then Prime Minister of Canada). An inaugural concert was performed by the Silk Road Ensemble with acclaimed cellist Yo-Yo Ma in the museum’s new auditorium. Following the events pomp and panache, Toronto’s who’s who welcomed the new cultural institution with glee. With artifacts dating from the 8th century through to the 21st century and covering a broad geography from Spain to Southeast Asia, the Aga Khan Museum’s collection encompasses many renowned works of art. Selected works from the Museum’s unparalleled manuscripts, drawings, paintings, decorated ceramics, metalwork, and architectural ornamentation are on display in permanent gallery spaces to inform, educate, and inspire audiences about the arts of Muslim civilizations. Comedy clubs in Toronto are where you’re likely to discover the next big SNL star. Toronto comedy clubs have helped launch the careers of Canadian comedians such as Russell Peters, Mike Myers, Dan Aykroyd, Martin Short, Catherine O’Hara, Jim Carrey, and Samantha Bee. Canada’s largest city is home to over a dozen laugh out loud venues. Comedy clubs in Toronto are not only home to variety shows, improv, and stand up but also host workshops and classes. Explore our favourite comedy clubs in Toronto and you’ll see why they bring a smile to everyone who visits YYZ. 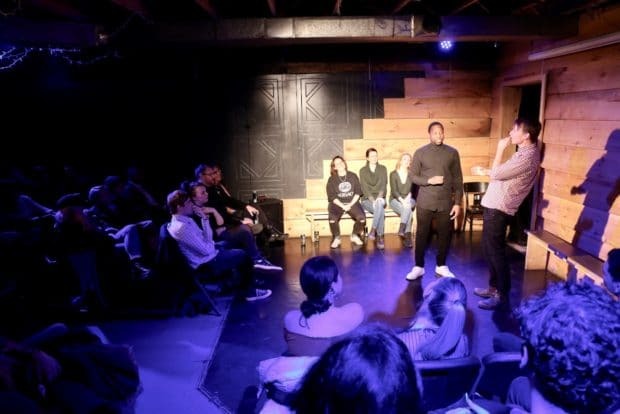 The best comedy clubs in Toronto are dedicated to showcasing stand-up, improv, sketch comedy shows in Toronto. You’re guaranteed to enjoy a good laugh throughout the week at Second City Toronto, Yuk Yuk’s Toronto, Absolute Comedy Toronto, Social Capital Theatre, The Underground Cafe, Bad Dog Theatre, and Comedy Bar Toronto.